Stora Björn nació a principios de Agosto fruto de una colaboración junto con Kadet Kuhne para proyectar la pieza audio visual en el festival de música electrónica de San Francisco (SFEMF). La proyección fue el otro día y parece que gustó! 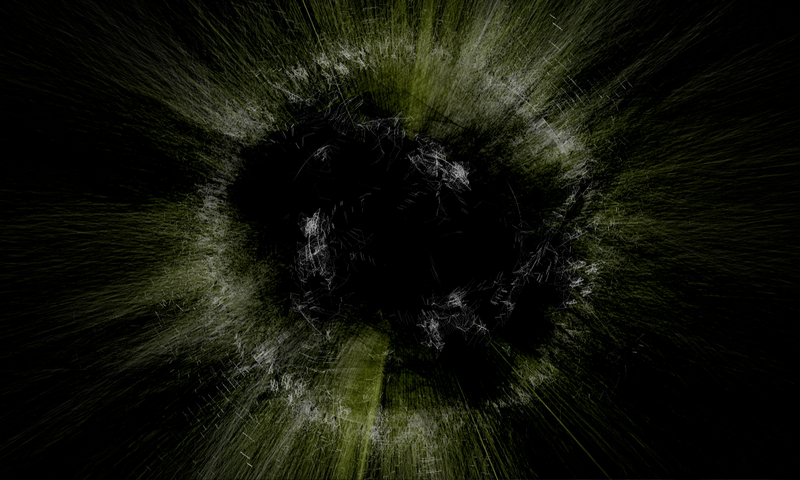 “The visuals for Stora Björn were created by Alba G. Corral using the software Processing, a powerful open source tool. Stora Björn translates as the Great Bear constellation. Alba created this piece after she had just returned from a fantastic trip in Sweden where she was immersed in nature under the open sky and vibrant stars. The piece was produced in real time using no post, made with a recursive algorithm, in sync with Kadet’s music using only her ears and intuition to follow the composition’s dynamics and structure. Designing the piece was a way to soothe her soul which proved to be very transcendental and metaphysical.